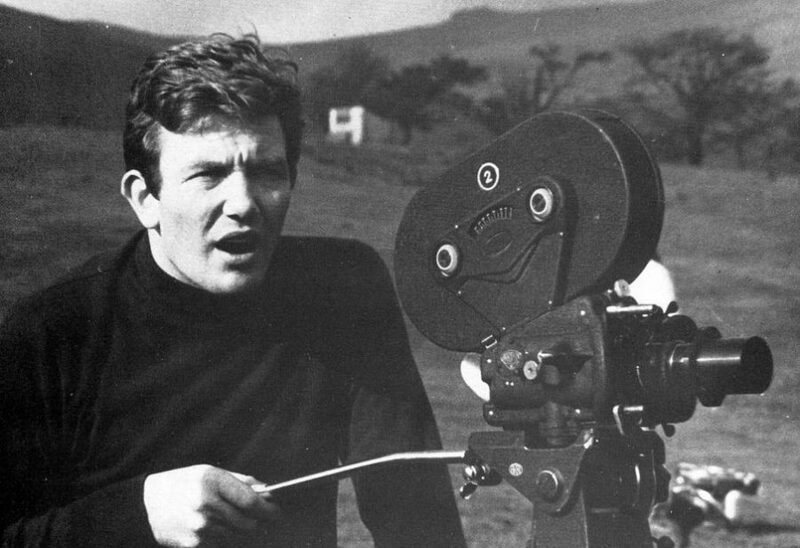 Albert Finney’s groundbreaking career is a testament to the opportunities of the postwar years, when the working class fought its way into the cultural arena. ‘Culture is ordinary: that is where we must start’, observed the socialist cultural thinker Raymond Williams in 1958. That same year, a twenty-two year old Albert Finney made his London stage debut in Jane Arden’s The Party. Both Finney and Williams had risen from ordinary beginnings. Williams came from a family of farm labourers and railway workers on the Welsh borders, ending his career as a Cambridge don; Finney was the son of a Salford bookie. Williams’ insight – that culture was not only the venerable canon of high arts but ‘a whole way of life’ to which the working class made hugely valuable contributions – is inseparable from the fizzing conjuncture of late fifties Britain in which Finney’s career began. This was the moment that working and lower middle class upstarts, emboldened by the new educational opportunities of the postwar welfare state, launched their assault on the crumbling citadels of high culture. 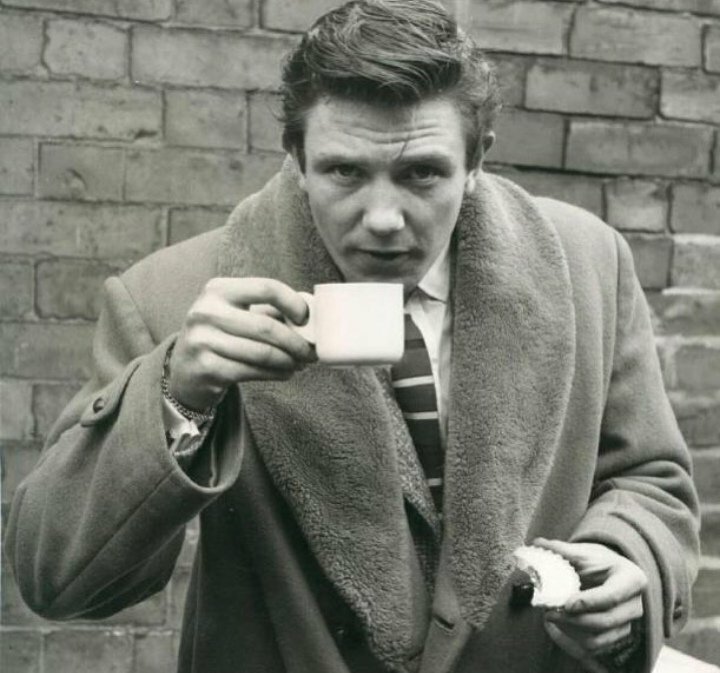 It’s the era of the ‘Angry Young Man’ plays and novels that would provide Finney with some of his finest roles in their early sixties film adaptations: The Entertainer, Saturday Night and Sunday Morning, Tom Jones. If the fifties was the point that the working class made inroads into bourgeois artforms like theatre, Finney’s simultaneous presence on stage and screen made him a living switchpoint for what was to come next: a vivid proletarian presence in the rapidly expanding sphere of popular culture. The Beatles may have seemed to explode out of nowhere in 1963 – but without the legwork of early sixties ‘kitchen sink’ realism they could not have captured the mood of a country on the verge of sloughing off deference for a decadent elite. 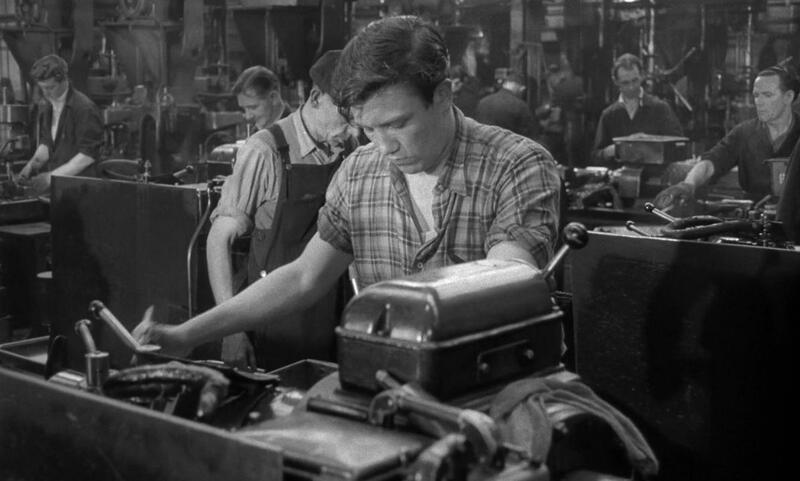 In Saturday Night and Sunday Morning Albert Finney plays Arthur Seaton, a young machinist and working class rebel. From the knife-edge of early 2019, it’s tempting to eulogise Finney as a symbol of a lost golden age. After all, working class cultural confidence went hand in hand with strong trade unions, minimal unemployment and the unprecedented prosperity of the social democratic consensus. From where we are now, caught between the floundering disaster of a minority Tory government and the fragile promise of a radicalised Labour opposition, it’s natural to look back for inspiration to the last time that labour seemed on the forward march, to paraphrase Eric Hobsbawm. Yet perhaps Finney’s greatest cinematic contributions are those that capture a near-intractable dilemma faced by a rising working class within the confines of capital – by turns blackly comic, raucously obstreperous and heartbreakingly poignant. In a still class-bound society, shot through with divisions as much cultural as economic, what place for the educated, independent and apparently successful boy or girl done good? Looked at this way, Finney’s furious delivery of Seaton’s motto ‘whatever people say I am, that’s what I’m not’ seems less an iconic gesture of proletarian individualism than a wounded admission of profound disorientation. It’s 1968’s Charlie Bubbles that gives fullest form to these doubts. Marking an experiment in film direction that Finney sadly never repeated, it also stars him as the eponymous and semi-autobiographical protagonist: a successful but dissolute writer fleeing London for his Northern roots in a vain attempt at reconnection. Superbly written by another scion of Salford, Shelagh Delaney (whose work gives lie to perceptions of this cultural moment as narrowly masculine in focus), the film is a surreal yet tender paean to the decidedly mixed blessings of postwar social mobility. As Charlie lounges around a wonderfully du jour hotel suite within the bold concrete brutalism of Manchester’s Piccadilly Plaza, the waiter who brings him his breakfast turns out to have been an old friend of Charlie’s dad. Recounting tales of Depression and war, the waiter asks innocently: ‘Do you just do your writing now, or are you still working?’ Finney’s response as Charlie is masterful –a supercilious smirk followed by a suddenly crestfallen glance upwards as he signs the bill. ‘No – no, I just do the writing’, he declares in an exaggerated Lancashire lilt. Albert Finney directed and starred in 1968’s Charlie Bubbles, written by fellow Salfordian Shelagh Delaney. No more at home in the company of the wealthy, another memorable scene features Charlie awkwardly bumping into a minor aristocrat played by the incomparable Yootha Joyce at a motorway service station in the dead of night. The glassy, absurdist alienation is up there with Samuel Beckett – it’s no accident that Beckett collaborator Billie Whitelaw gives a BAFTA winning performance as Charlie’s estranged wife. Installed in a farmhouse in the Peak District, the ex-couple’s bickering cuts off any association that landscape might have had with the claims made on it by the heroic Mass Trespassers of the 1930s. Amongst them was Salfordian Communist Ewan MacColl, whose radical artistic experiments with Joan Littlewood laid the groundwork for the postwar boom in working class cultural representation that brought figures like Finney to prominence. Thatcher and the neoliberal era would slowly but surely put paid to that. Indeed, so much about Finney’s heyday might seem shaped by now impossibly remote circumstances and concerns. But as university attendance continues to grow and increasing numbers of working class graduates emerge, educated but indebted, into an insecure job market and the looming potential of recession, they face a comparable cultural dislocation to the postwar generation – only without the prosperity. In Albert Finney’s life and work, hope can be found. His example remains testament to the creativity, resourcefulness and emotional honesty with which the British working class has faced its changing fortunes over the past sixty years. David Wilkinson is the author of Post-Punk, Politics and Pleasure in Britain (Palgrave Macmillan, 2016) and lectures in English at Manchester Metropolitan University.